Patricia A. "Patty" Downer, 62, passed away 5:15 pm, Saturday, March 16, 2019 at her residence, surrounded by her family. Born in Alton on February 23, 1957, she was the daughter of Eugene F. "Hoppy" and Rosemary (Winchester) Hauptman. 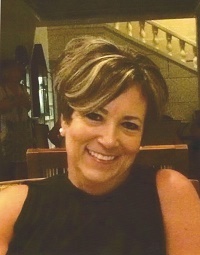 Following graduation from East Alton-Wood River High School in 1975, Patty obtained her Associate Degree in Nursing from Lewis and Clark Community College. She furthered her education at McKendree College, where she earned her Bachelor of Science in Nursing and ended her formal education with a Masters in Gerontology from SIU-E. Her nursing career began at Wood River Twp. Hospital and continued on at Anderson Hospital. After her move to South Carolina, she worked in the healthcare field with Carolina Family Care and ending her career at East Cooper Medical Center after 16 years. In 2003, Patty was bestowed the honor of "RN of the Year", proving she was a caring and compassionate care giver. Patty enjoyed cooking, crafting, shopping, traveling, a good party and most importantly, spending time with family (catching Roger's bait fish) and friends. On March 30, 1974 in Hartford, she married her life long soulmate, Richard "Rick" Downer, He survives. Surviving also are a daughter, Erin Downer of Mt. Pleasant, SC; brother, Joe Hauptman of Mt. Pleasant, SC; sisters, Roma (Roy) Scoggins of Collinsville, Lisa (Chris) Saunders of Mt. Pleasant, SC; brother-in-law, Roger (Joli) Downer of Holiday Shores; sisters-in-law, Teresa (Paul) Murfin of Atlanta, GA, Mona (Kevin) Waltz of Godfrey; nieces, nephews and many friends. Preceding in death were her son, Tim Downe; her parents; and in-laws, Richard and Virginia Downer. Visitation will be from 4-8 pm Wednesday, March 20 at Marks Mortuary in Wood River. A Mass of Christian Burial will be celebrated at 10 am, Thursday at Holy Angels Parish Church. Father Donald Wolford will officiate. Memorials may be made to the MUSC Hollings Cancer Clinic in Charleston, SC. A celebration of Patty's life will be planned in South Carolina at a later date.